Well, today is a fresh start in some respects. People will be making and trying to keep all those resolutions, and in general, preparing for what lies ahead. I decided to lay out some general goals for this year. I know, I know: goals are supposed to be specific, measurable, realistic, and attainable. I think for me, though, general works better! This was not your typical piano concert. Both Michele and Scott shared stories and inspirations. They took questions, posed for pictures, and signed copies of their CDs. It was so much fun to be a part of the event! 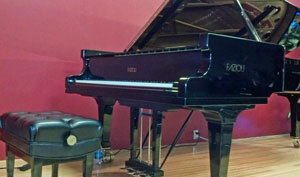 The concert itself was played on a 10’2″ Fazioli grand piano. Oh, I could have melted at the sound from that piano. It was freaking incredible!! Michele said that Fazioli is the Lamborghini of pianos. She wasn’t joking! Susan and I were the first ones to arrive. I was happy we were early – we got to chat with Michele, and we had our pick of the seats. Whoo hoo! I asked Michele if she took requests. She hesitated but asked me what I wanted to hear. I told her Misty Fjords since it is a piece I am working on. She cringed and said that she hasn’t been playing it for concerts. But, she did say she would give it a shot; it would be the last piece she played. And play it she did! Yay! Thank you, Michele 🙂 It is from her Waking the Muse CD. I tried to get her to play Radiance, but she declined on that one. LOL I did really like Spiritual Awakening. I’m going to have to buy the sheet music for that one. Scott played some cool pieces, too. He composed a classical-style piece titled Scherzo. That one was fast and fun!! I really enjoyed the pieces he played from his Tahoma CD. In fact, I’m listening to that CD as I write this post. If you get the opportunity to see these fabulous musicians in concert, I highly, highly recommend it! Bravo! Another weekend is coming to a close…I’m pleasantly distracted by the aroma of grilled food drifting in through my sliding glass door. I am presently scrunched on my couch as my cat has decided to join me. Friday night – piano lesson. I decided Gershwin wasn’t for me. I’m still working on Clair de Lune, which is coming along rather nicely. I also added Massenet’s (hope I spelled it right) Meditation from Thais (hope I spelled that right, too!). My teacher is convinced I have a thing for Romantic music (and composers who lived from the mid 1800s to the early 1900s). If you have any suggestions of music for me, please let me know! Sometimes it is frustrating trying to find a piece I like well enough to spend hours upon hours practicing. ‘Cause, yeah, if I don’t like it, I won’t practice it. 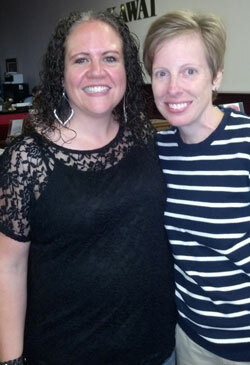 Saturday – started with coffee and muffins with my author friend, Sue Lyndon. It was great to catch-up and chat. We both managed to get sunburned from sitting outside. The weather was gorgeous so you won’t hear me complaining! After that, I managed to go for a run/ walk. I was so excited that my knee didn’t complain at all. Has to be a first!! Upon my return, I visited with my neighbors. By the time I got home, I was beat!! Instead of writing, I tackled editing on two of my pieces. I think I made a good bit of progress. Sunday – began with church and was followed by grocery shopping (oh, my most favorite activity. COUGH!). Then, I wanted to take a nap – my allergies have been killing me and I haven’t been able to sleep in. No such luck. Enter practicing the piano and art. I finished a page in my journal that is pretty cool, I think. I really need to get over my fear of watercolors – just need to dive in and see what happens!! Then, I ended the night with more practice. Well, before my blog post! I suppose you notice that the one thing which is missing is . . . Reading! Yikes!! I need to get back into it. I think part of my problem is that I need to read on my Kindle at night (poor vision, one of the joys of getting older), and the other issue is that I’m squeezing so much into my awake time that when I go to bed, there is no need to read. I’m out for the count! However, I have noticed a correlation between lack of reading and struggling to write. I think reading helps my grammar and inspiration. 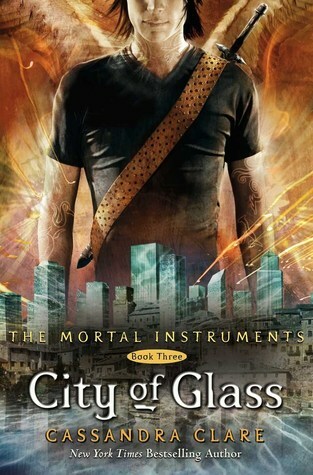 Maybe it is just a matter of finding the right book that I can’t bear to put down… wish me luck on that one! Well, I’m finding myself having issues with time. As in I need more of it (although, don’t we all?)! I’ve recently started art journaling, and this morning I completed the first project in my new, handmade journal (thanks to Jen of Eve Designs). The journal is absolutely beautiful – a work of art in itself. If you are interested, check out her page on Etsy. She does great work and is very punctual with shipping your order. I picked up an art journaling book at my local big box craft store. It was one of the few they had (hence my recent order to Amazon). At any rate, the book is titled Journal Spilling and is by Diana Trout. I like the author’s approach as she gives you options if you are just starting and don’t have a lot of supplies. One of the first projects she suggests is a collage. Pretty easy, right? Most people have old magazines or newspapers and glue. My inspiration this morning was “Beauty is in the Eye of the Beholder.” I’m happy to say I completed the pages, and I’m happy with my design even though it took a bit longer than I would have liked. This afternoon I hope to go to my local park and work on some sketching. The trees are blossoming here so I should find lots of good landscapes. As you can now see, between art journaling, writing, and music there are lots of demands on my time. Not to mention work, which sadly takes up the most of it! LOL Yes, I know I need to work so that I can live – have a roof over my head and food on the table. Some days, however, I wonder what it would be like to be either retired or independently wealthy! Would I make the most use of my time then or would I be lazy? Kind of makes you wonder… which I certainly don’t have time to do!! Let’s get to some updates on the writing and music front because before I know it, lunchtime will be here. I’m working on the edits to Rescuing Rafe, the sequel to Tumbling in Time. It is over halfway done. I haven’t had time to write any further on it, but I did get feedback on the first half. I’m excited about the suggestions – they will add tension and suspense to the story as well as keep it moving. I’m not sure if I’ve announced it on this blog, but I’m writing m-m romance under the pen name of Avery Dawes. I just got the edits on Mountain Memories from Torquere. I’m excited to make the changes and get them back. We are so close to the release date – just over a month away. Yay! I’ve also started a new romance story for Books to Go Now’s Hot Summer Nights Anthology. That story is a third of the way done. I’m hoping to keep it around 9K words so we shall see… right now it will be more than that, but hopefully I can condense some of it. Last, but not least, on the music front. Hang on, kitty cat interruption. Willow has come to visit and scratch her chin on my laptop. Quite frankly I wish she would stay as I’m a bit chilly! She is shedding like crazy! Guess I will need to vacuum again today. Add that to the list!! Back to music… music for me is now playing the piano as opposed to singing. I’m been practicing a lot of late. Just in the mood, I suppose. I’m working on Song for Rome by Brian Crain. I’m also beginning to work on Clair de Lune by Debussy. In fact, I’ve been playing so much of late, that I’m craving a new piano, one with a full, rounded sound. Yeah, not happening, but it can’t hurt to wish, right?? Well, my wish sort of came true. Willow is curled up next to my thigh and is sharing her heat. Yay!! 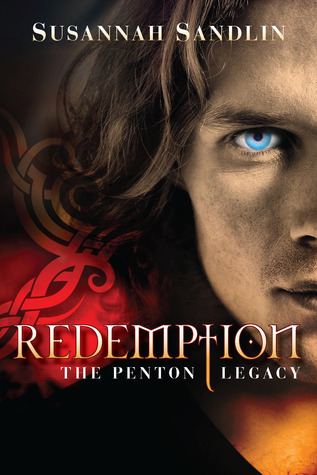 So in between reading the first book in The Penton Legacy by Susannah Sandlin titled Redemption and starting the second one (Absolution), I had an odd thought. While making dinner (hence the lack of reading), I was singing along with Gloria by Randol Alan Bass (practicing). There is a fair amount of Latin in Gloria. Had you asked me five years ago if I would be singing with a choral group, I would have said no. I would have admitted to continuing to practice the piano, but singing was not on my radar. If you would have asked me three years ago if I saw myself singing proficiently in Latin, the answer would have been definitely not. What, me, singing in a dead language?! You have got to be kidding!! I admit that I will never be the next American Idol nor will I be a soloist in our choral group, but with practice I can hold my own singing in English or Latin. Yep, in fact last spring, we performed Hayden’s Lord Nelson Mass, entirely in Latin. There is a point to this long story. Never say never, obviously; but never doubt what you may be capable of achieving. You may just surprise yourself . . . and in a good way. Now, to the books. After Dianne Duvall spoiled me with her Immortal Guardians series, I went in search of another PNR series. Redemption was one of the samples I downloaded to my Kindle. The sample piqued my interest enough to purchase a copy (and the price was right – $3.99). It is a vampire story with a unique twist. A pandemic had wiped out a portion of the human population (the very young and the very old and those susceptible to illness); most of the humans who survived received the pandemic vaccination. Well, guess what that did to the vampires? Yep, they can’t drink vaccinated blood; it is like poison to them. So, enter starving vampires and power-hungry vampires who lack morals and feel threatened by a successful vampire and his community of unvaccinated humans. Redemption is the story of Aidan Murphy and human doctor Krystal Harris. It is set in rural Alabama, Penton to be exact. I really enjoyed the trials and tribulations of the former Irish farmer as he faced his out of control brother, Owen. The book kept me intrigued, and I enjoyed both the main characters and the secondary characters – vampire and human alike. 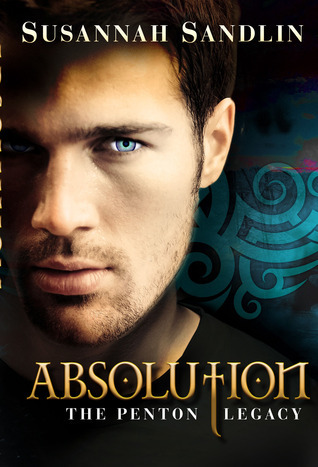 I decided I wanted to tackle the second book, Absolution. This is Mirren’s story – the big, scary slayer who doesn’t say much. In fact, you’re lucky if you get a grunt!! Little does the big guy know, but he’s got a soft spot for a gifted mortal, Glory. I’m over halfway finished with this book. It is been a real page-turner! It was difficult to stop after what just happened with Krys and Glory, but I managed. Barely. I did want to share one of my favorite passages from the book thus far. It is at the start of Chapter 23.